In a week when Liverpool scraped through and won the League Cup (a pointless competition) v Cardiff, exciting Premiership matches stole the limelight. Newcastle threw away a 2-0 lead to draw against Wolves at home. Spurs also threw away a 0-2 lead, as under-fire Arsenal fired five past poor old Brad Friedel. AVB's Chelsea ended their winless streak with a comfortable win at home v Bolton. On-form West Brom deflated former on-form Sunderland by a four goal cricket score margin. Man City as expected beat Blackburn, where as United's old timers turned back the time and secured a valuable win against the Canaries at Carrow Road. Swansea's bad run of league form continued against Stoke with a 2-0 defeat, as QPR's relegation worries continued with a 0-1 defeat to Fulham. Finally, Wigan's match v Aston Villa was a damp squib with the top flight's only goalless match of the gameweek. I have to say folks that I got a lot of stick for endorsing Ashley Cole for this gameweek. Fortunately he didn't let me down and as projected he kept a clean sheet v Bolton. Of course, Cahill would have been better in terms of cost and Luiz's goal further highlights his attacking threat. But I still stand by Ashley Cole, as he is irreplaceable for Chelsea as a left back. Though I may cash him in for a cheaper Chelsea defender if I wish to free up funds. As for my gameweek, it was very mixed. My recommended player (Cole), captain (Aguero) and vice-captain (Silva) all did reasonably well (collectively scoring almost half of my GW points). I lost out on 6 points with Micah Richards not starting for a second consecutive week. This has given me reason to replace him. Moreover, Vorm's injury/illness meant that I lost at least 2 more defensive points, as my back up goalkeeper (Lindegaard) was also injured. Joey Barton has been a major let down in his last three easy-ish matches and is now ear marked for the FPL dustbin. Fortunately I have my wildcard still at hand and may be tempted to use it very soon to make relevant changes. (away to West Brom next). Joe Hart (6.8) - 3 clean sheets from 3 matches. (at home to Bolton next). (at home to Chelsea next). After taking time out from FPL, due to the FA cup weekend, I have decided to endorse a mildly surprising pick. My recommended player for Gameweek 26 is Chelsea's Ashley Cole. Ok, so Chelsea are going through a bit of a temporary slump and a crisis. We know that it's not FPL 2009-2010 (When Cole scored 4 and assisted 4 during the season). And we know that Chelsea are on a five game winless streak in all senior competitions, with AVB on the brink. We are also fully aware that Ashley Cole is a publicised love rat. But let us put that all to one side and see the contemporary footballing facts at hand. Ashley Cole is only selected by 7.9% of FPL gamers and could be a differential for your team. The 31 year old is an accomplished international with 93 caps to his name. At 7.1 Ashley Cole is not cheap (though cheaper than his injured teammate John Terry). But at least with him you have the peace of mind that he is less prone to be squad rotated than the mercurial likes of his other comrades - Ivanovic, Bosingwa, Luiz or Cahill. If you already have another Chelsea defender in your team, don't buy Ashley Cole. But if you are looking to purchase a Chelsea defender and willing to spend a bit, then do consider him. I only purchased Ashley Cole as a like-for-like replacement for John Terry who according to media outlets is injured for up to eight weeks. Don't over think it and do ignore Chelsea's recent poor form. Surely things can only get better for them? My captain for Gameweek 26 will be Sergio Aguero and my vice captain will be David Silva. 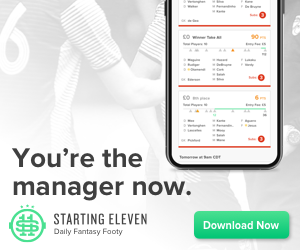 My GW team can be found here within 12 hours of the first Saturday Premier League kick off. In the week when Capello quit as England manager, the title race continued to hot up with wins for all of the top three teams. Manchester United won 2-1 against Liverpool in an electric encounter, whilst prospective England manager Harry Redknapp's Tottenham thumped Newcastle United 5-0. Man City managed a dour one-nil victory at Villa Park, where as Chelsea continue to implode with a 0-2 defeat to Everton. Blackburn won 3-2 against QPR, whilst Swansea's rock-solid defence conceded three at home to Norwich. Wigan won 1-2 in the relegation battle at the Reebok Stadium, as Theirry Henry ended his Arsenal league return in fantasy style with a goal in a 1-2 victory against Sunderland. Finally, Fulham won 2-1 at home to Stoke, where as West Brom's sensational away form continued with a 1-5 win against Wolves, courtesy of an Odemwingie hat-trick. A mixed GW for me folks. Pre-bonus points I have ended up with only 46 points. 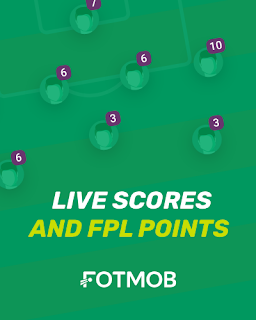 I don't think I am alone in low-ish score and I suspect many teams would have missed out on points, especially considering the fact that many of the established Premier League midfielders did not score many points. This was further complemented by the lack of clean sheets (only 3 from 10 matches). Unfortunately, I captained another City player and again was let down. It was Silva last week and Aguero this week. Perhaps I should have gone with caution and not captained Aguero as he has been abysmal of late when playing away, especially with City's "park the bus" mentality upon taking a lead away from home. Ekotto and Graham's double digit scores contributed to approximately half of my GW score and has ensured that I will have comfortably scored well above the average GW score. With hindsight I am relatively satisfied with my team's performance (apart form the choice of captain), especially considering the fact that my bench carried three injuries (Lindegaard, Terry and R Taylor). James McClean (4.7) - 3 goals and 2 assists from 6 games. Anthony Pilkington (5.1) - 3 goal and 2 assist from 7 games. (at home to Manchester United next). Joe Hart (6.8) - 2 clean sheets from 2 matches. (at home to Blackburn next). Joleon Lescott (6.1) - 19 points from his last 2 matches. Wayne Rooney (11.9) - 4 goals from his last 2 matches. (away to Norwich City next). Norwich are a different team away from home, Stoke have had mixed league results at the Britannia and Wigan have only won one home match all season. All three of those matches are winnable for Swansea. At 5.0 Gylfi is a steal - if not as a first teamer, a first sub bench warmer at the very least. I don't think he is yet another bog standard Icelandic footballer with a hard-to-pronounce name. He is probably one of their best prospects since Eidhur Gudjohnsen at his peak. I bought him by selling Ben Arfa who has reverted back to bench duty with the return on Ba and signing of Cisse at United. Buy Gylfi now before his value shoots up! My captain for GW 25 will be Sergio Aguero and vice-captain will be Clint Dempsey. Kevin Keegan - 38.9% win rate and group stage failure at Euro 2000. Steve McClaren - 50% win rate and failure to achieve qualification for Euro 2008. English speaker, media savvy, managed in England for almost 16 years, promotes youth talent, has multiple league titles and cups to his name. English speaker, very media savvy, managed in England for 3 years, has multiple cups and league titles from around Europe (including England) to his name. English speaker, media savvy, has had a successful managerial stint in England, has won domestic competitions and a record of international management experience. The three aforementioned alternative candidates are far more qualified and successful than Harry Redknapp on paper. In fact, it can be argued that in terms of a British manager Roy Hodgson and Martin O'Neill are as as successful as him. Harry Redknapp only has an FA Cup honour to his name as a manager. Of course he has the nostalgia element in his favour (i.e. having played with England legend Bobby Moore), as well as discovering young English talent (particular at West Ham) as well as having turned around Spurs and achieved Champions League qualification with them. But unfortunately for those that champion the "English manager for England" argument it still doesn't put him in the same class as the highlighted foreign candidates. Admittedly, Redknapp at this moment in time, is probably the best British/English manager around. If Redknapp wishes to be the next England manager there is no real reason why he can't do better than Fabio Capello. Moreover, it would be hard for him to fail in the same way as Keegan or McClaren. In summary, for those that only want an English manager for the England job please consider the alternative points at hand. It is time for England "to do a Spain", by removing the perennial tag of tournament under achievers and win a major tournament since the 1996 World Cup. We have talented players at hand. The question is - do we have the manager that will make England a formidable force in international football? The gameweek ended surprisingly goalless (Liverpool 0-0 Tottenham), but for the most part it was packed with goals, goals and goals! This was the gameweek in which the established strikers rediscovered their goalscoring form. Van Persie started the goal rush with his hat-trick, as Arsenal sunk a woeful Blackburn 7-1. Rooney scored twice as United came back from 3-0 down to sensationally draw 3-3 at Stamford Bridge. Aguero also managed a goal with City's comfortable 3-0 win over Fulham. Newcastle won 2-1 at home with Cisse scoring on his debut and Ba scoring on his return, as Swansea managed a rare away win in part due to Danny Graham's goal. Wolves' Doyle scored to upset QPR at Loftus Road with a 1-2 score line. Norwich won 2-0, where as Sunderland's fine run of form continued with a 0-1 win at the Britannia Stadium. Finally Everton held Wigan to a 1-1 draw. Terry short-term injury (though I won't sell him). R Taylor injured (I won't sell him unless he is out for months). Hatem Ben Arfa (a glorified bench warmer now that Ba and Cisse have returned from ACON). Gylfi Sigurdsson, Swansea (5.0) - 1 goal / 3 assists from his 4 appearances so far. Scott Sinclair, Swansea (6.5) - 7 goals / 2 assists out of 24 gameweeks. James McClean, Sunderland (4.6) - 2 goals / 2 assists from last 5 appearances. Anthony Pilkington, Norwich (5.1) - 2 goals from last 5 appearances. - Starts often, but lacks consistency. I may or may not replace Ben Arfa in the next gameweek and the proposed replacements are not confirmed, but merely musings. I will post my recommended player for Gamweek 25 in due course, stay tuned! Of course City can be less attacking and a bit more prone to defensive football away from home, but 3 of their next 5 fixtures are home matches. At 11.2 Sergio Aguero is not cheap, but should hopefully do well and play regularly, especially consider the fact that City are out of the Champions' League and domestic cup competitions. Moreover, I doubt he will be starting any Europa League matches, as Mancini's priority is the Premier League. My captain for GW 23 will be David Silva and vice-captain will be Robin Van Persie. Joey Barton is a regular QPR starter, capable of taking set-pieces and scoring/assisting, valued at 5.8 which makes him an interesting differential candidate. Hence this is why I signed him. What an interesting post-transfer window gameweek of sorts - Man City's surprising 0-1 defeat to Everton (courtesy of an ex-Man United player's goal) ensured that United joined them level on points at the top of the table, with a 2-0 victory over Stoke. Swansea were held to a commendable 1-1 draw, via a last gasp injury-time equaliser, whilst an unimpressive Arsenal drew 0-0 to relegation strugglers Bolton. Liverpool won by three goals against Fulham, as did Sunderland versus Norwich. Fulham drew with West Brom, as did Aston Villa with QPR. Finally, a Ba-less Newcastle dealt a 0-2 defeat to a Yakubu-less Blackburn, whilst Spurs beat Wigan 3-1. Despite last minute injuries/withdrawals of Lindegaard, Gerrard and Terry I had a very decent Gameweek by accumulating 65 points. My best points scorer was my captain (20), Sessegnon, which massively added to my points tally. I got that pick bang on! I accumulated a further 18 points jointly from Evans and R Taylor's clean sheets and bonus points, a long with a further 9 from on-form Dempsey and 6 from Ekotto. In addition, it has to be said that it was an extremely quiet gameweek for strikers with many popular selections not scoring, i.e. RVP, Aguero, Adebayor, Sturridge, etc. After using my wild card I didn't intend to tinker too much with my team, but it looks like I will have to now due to a injuries/player inconsistency. Moreover, QPR's and Man City's favourable fixtures are enticing me to invest in their players. I might take a -4 hit to capitalise on the aforementioned. Whether I will or not will be shown in my next post. So stay tuned!